On the Stafford Show (NewsTalk 1010 AM, CFRB Toronto, with host Mike Stafford) Freedom Party leader Paul McKeever calls-in to discuss the beer tax and Freedom Party of Ontario’s “Eliminate Beer and Wine Taxes” 2011 election plank. 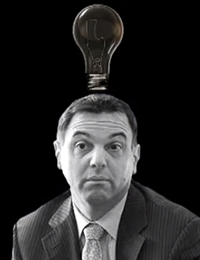 Freedom Party of Ontario’s 2011 Election Plank: Cancel the 2012 Ban on Incandescent Light Bulbs. This video was released to promote the party’s 2011 election plank: Cancel the 2012 Ban on Incandescent Light Bulbs . “In April of 2007, Ontario’s Liberal McGuinty government vowed to ban incandescent light bulbs in 2012. The Progressive Conservatives wanted the ban to take place immediately, in 2007. 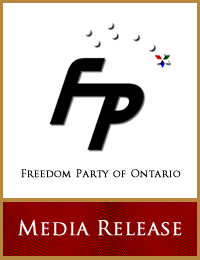 A 2011 election plank issued today by Freedom Party of Ontario says surplus energy makes the 2012 ban unnecessary, and proposes that the ban be cancelled…” Click here to read the full media release. On the John Oakley Show (AM640, Toronto) Paul McKeever, leader, Freedom Party of Ontario discussed Freedom Party’s opposition to taxpayer funding for the 2015 Toronto Pan Am Games. February 10, 2011 – Today, on the John Oakley Show (AM 640, Toronto), Freedom Party leader Paul McKeever spoke with John Oakley about Pan Am Games cost overruns, the need for a freeze on further bail-outs, and the need for a Pan Am Lotto to cover the cost overruns. Click Here to listen to the interview. “Freedom Party leader Paul McKeever called for the creation in Ontario of a new 2015 Pan AM Games Lotto to cover the cost overruns that are already starting to pile up more than four years prior to the games. McKeever made the call on this morning’s John Oakley Show (AM640, Toronto – audio here)…” Click here to read the full media release. February 8, 2011 – Today, on The Mike Stafford Show (AM640, Toronto), Freedom Party leader Paul McKeever discussed the beer tax and Freedom Party of Ontario’s “Eliminate Beer and Wine Taxes” 2011 election plank. Click Here to listen to the discussion. “Freedom Party of Ontario is calling for a freeze on all further Provincial bailouts of 2015 Toronto Pan Am Games building projects and a permanent policy against taxpayer funding for the hosting of all future international games events. Less than two weeks after the city of Toronto was stuck with a bill for an extra $47M in extra Pan Am costs, the Liberal government of Dalton McGuinty has agreed to stick all Ontario taxpayers with a bill for another $22.5B to help Hamilton secure Ivor Wynne Stadium as a Pan Am event location. The Pan Am Games organizing committee is expected to announce today that the renovated stadium will be a 2015 Pan Am games sports facility…” Click here to read the full media release.